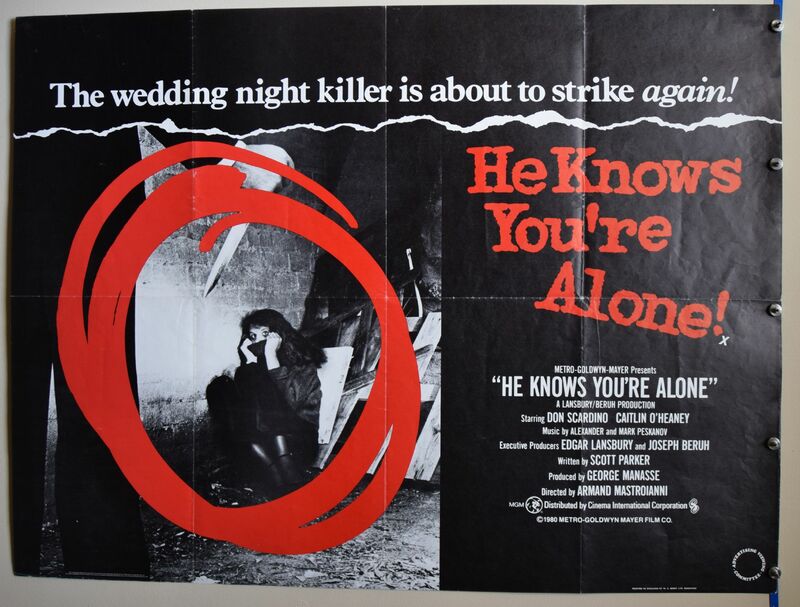 He Knows You're Alone (MGM,1980) UK Quad Poster Size 30" x 40"
British Quad poster for He Knows You're Alone starring Don Scardino and Caitlin O'Heaney. The poster shows some light fold wear. Displays very well.